Why Choose the NutraPhoria School of Holistic Nutrition? It is confusing out there! One school says you don’t need much in the way of nutrition-specific training because health coaching is all about changing habits and lifestyle; while another school says the complete opposite. What gives? This is where you want to do your research. There are many phenomenal schools for you to choose from offering phenomenal programs, and we are grateful to be among them. The key here is that you want to ensure you will graduate with your ideal future in mind and with the expertise to provide your clients with the best possible solutions for their health. Our comprehensive, internationally recognized online nutrition programs and courses are taken by thousands of students all over Canada, the US, and across the globe. Our main objective is to help YOU become a go-to expert in nutrition and wellness while earning a living doing what you love. We are humbled and so very proud of our graduates who are not only changing their own life but the lives of everyone around them. Here you will find revolutionary Nutrition, Mind/Body/Spirit, Business, & Coaching training all rolled into comprehensive, life changing, one-of-it’s-kind programs. Not only do we have a core Holistic Nutrition & Health Coach diploma program, but we also offer advanced Holistic Nutritionist courses and programs. You have the ability to specialize your practice in a niche area as well through one of our continuing education certificate courses in areas such as aromatherapy, childhood nutrition, plant-based diets, sports nutrition, and more! Our student support is unparalleled and our policies are flexible because we understand fully that most of our students work full time and/or have other responsibilities outside of their schoolwork. We understand and deeply value the commitment you are making to bring your dream to life. Finding time in this busy world we live in is something we all struggle with, and having the courage to jump in and grab on to that dream is something to be celebrated. Become a Certified Nutrition & Health Coach in 12 months or a Holistic Nutritionist in 24 months. Both programs are accredited by various professional organizations. Our curriculum has been fully audited to ensure it meets their requirements, and upon graduation, you qualify for registration status, liability insurance, board certification, and many other member benefits. Upon completion of the tier 1: Holistic Nutrition & Health Coach Certification grads will receive a diploma and the “Certified Holistic Nutrition Coach” designation. Everything we do is with you in mind. We are here to support you both during, and after your studies through our online community and resources. Establish your online presence right away while helping potential clients, employers, and opportunities can find you with ease. You will be listed in our online international directory with a full web page profile linked to your blog posts & your social media, driving traffic to your website when you have one. In addition to being profiled in our experts directory & having your own full page profile, you will also get to post on our student blog = a fantastic platform to share your brilliance with the world. From industry information to business building tips and webinars to job postings, networking and access to special offers and discounts – we have you covered. Your online profile will give you universal access to all three of these resources and more. Our Online Learning Portal makes learning easy, delivering our courses and programs to you in the comfort of your own home, on your own schedule. In addition to being able to conveniently access your course materials and submit tests online, you will also have access to live student chat rooms and topic based forums allowing you to share ideas, network, form study groups, and connect with like minded students from all over the world. We work passionately and tirelessly to ensure you get the best possible education. You won’t find anything else quite like it. Don’t just take our word for it though, be sure to take a peek at our testimonials page to get the inside scoop on what it is like being a student and graduate of the NutraPhoria School of Holistic Nutrition. 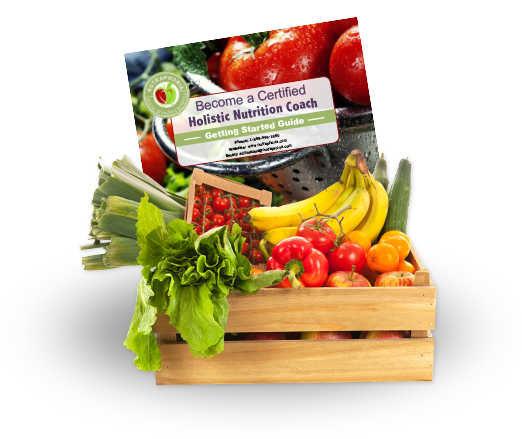 Take a look through our programs and courses page to find out if the Holistic Nutrition & Health Coach certification or Holistic Nutritionist diploma program is right for you.